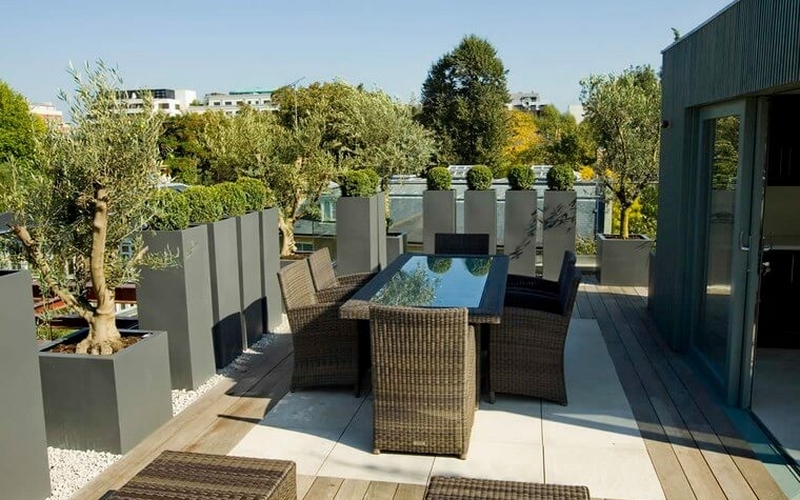 Decorate your terrace house and enjoy the good weather. Surely you are already enjoying this false summer that we have in February. Of course, I take advantage of these sunny rays to go out onto the terrace and soak up vitamin D, the fact is that I’m looking forward to the good weather and putting everything together so I’m going to throw myself into the pool to give you a few ideas to decorate the terrace house. Take note! LOP floors are a good alternative to traditional cement or terrazzo floors. 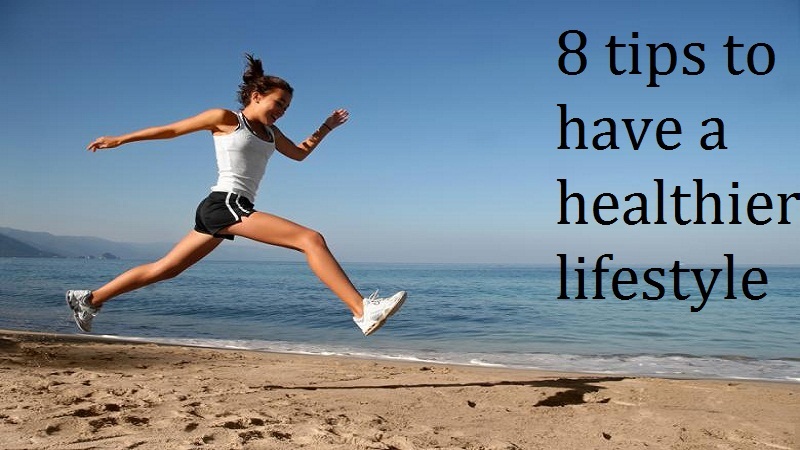 Even more if that soil does not convince you or is deteriorated. One of the most remarkable advantages of this product is its installation, which is very simple thanks to an assembly system in the form of “Click”. But best of all, for my taste, is that you have a wide variety of materials and colors and this will allow you to play with them by combining them to create different environments or even to create original decorative patterns on your floor. 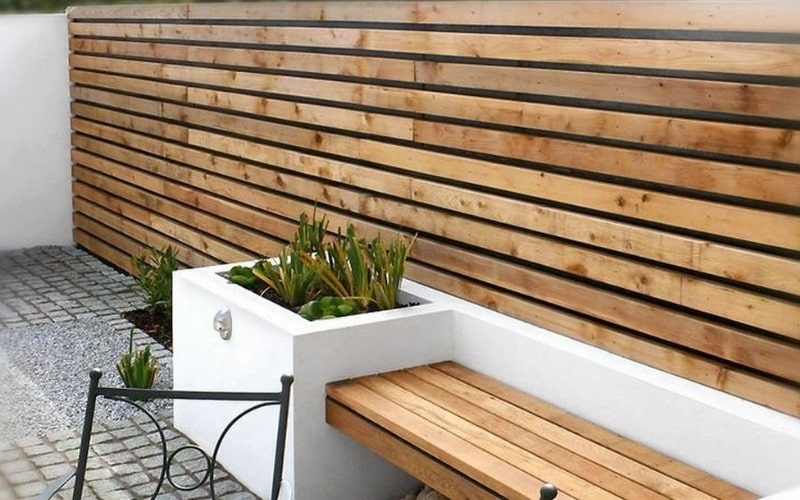 If you feel that the terrace walls are not beautiful or you just want to change them, you can do it in many ways. One option for a fenced area is to place concealment meshes. There are wooden, pvc meshes with different colors or even those that mimic a bush. If you have cement or brick walls you can opt for a coating to your liking. There are thousands of types with different price ranges and different types of disposal. If you do not want to complicate much, I recommend a good painting that is suitable for extreme climates and decorative elements of resistant materials so that they do not deteriorate. 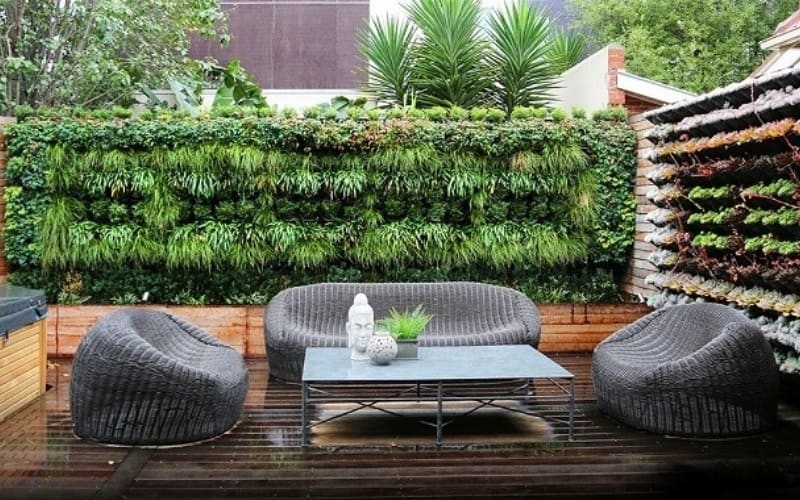 It does not matter if you have a large or small terrace house, the vertical garden is suitable for everyone. If you like gardening this is a good opportunity to set up a small orchard with aromatic plants where you can turn to prepare some delicious dishes or even some good cocktails for this summer. If, on the other hand, you are a denial as far as green is concerned, opt for an artificial vertical garden. It is an idea for the great terrace house that does not require care or maintenance and dresses a lot the stay. If you have a small space does not get frustrated. Use the walls as decoration. You can decorate with hanging plants, paintings, vertical gardens or garlands. 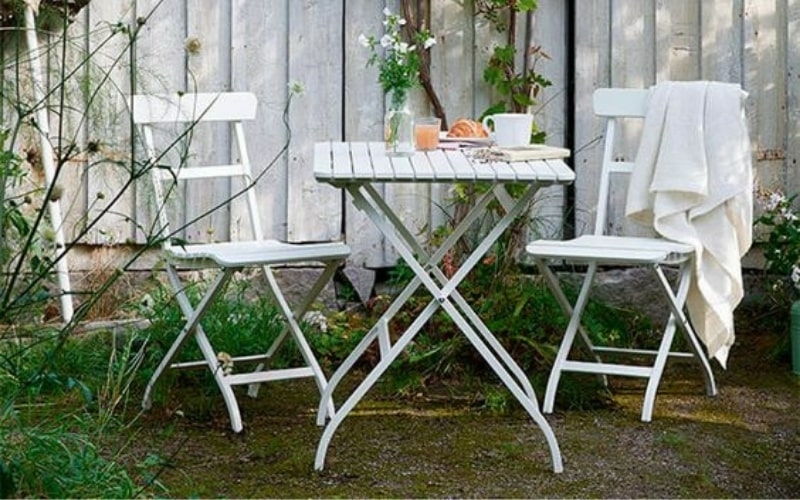 In amount to the terrace furniture you can use folding furniture. They are easy to store and at a given time you can have more free space. There is a wide range of folding furniture made of different materials such as wood, plastic or iron. 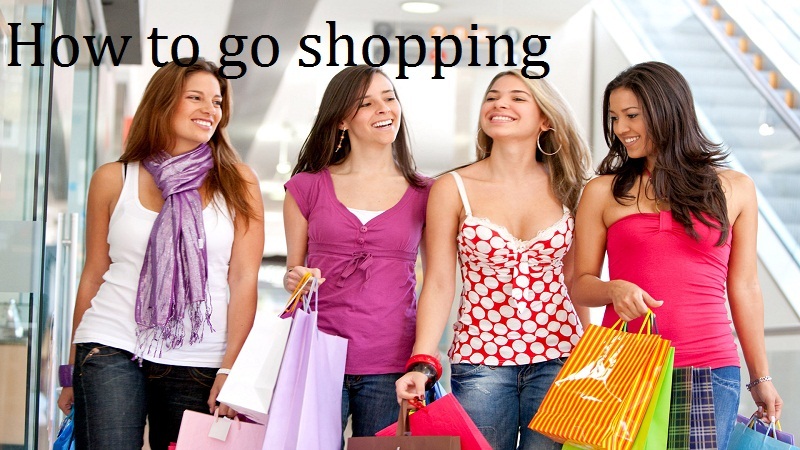 You just have to decide which option is the one that best suits your tastes and needs. Close your eyes and think of those hot nights taking the fresh on the terrace house with mint mojito from your own garden, do not you want to be in the dark, right? 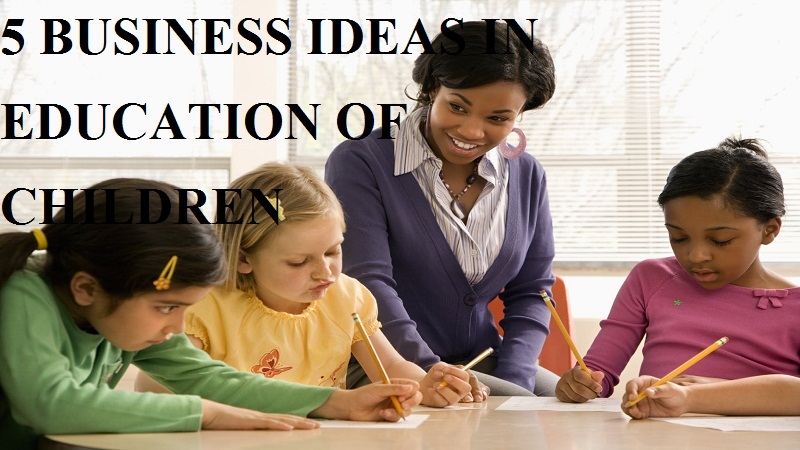 There are different types of lighting that will adjust better or worse according to the need. A family dinner is not the same as a quiet night and a couple resting with music in the background. For the first you can choose some wall lanterns, which also illuminate decorate. For the second plan you can place garlands of lights on the wall or the barred fence or also use aromatic or citronella candles that, in addition to aromatizing with a fresh smell, will serve as a repellent for insects. If you are hot and you need a shading system for the terrace house, you are lucky because there are as many varieties as colors. Depending on the space you have, one system or another will suit you. If it is an attic terrace or even a garden area, you can place awnings that are raised or lowered as you wish. If on the other hand you want to create a picnic area, you can use pergolas or even permanent awnings, which are attached to the same wall. Small spaces also have options, you can bet on outdoor blinds or practical umbrellas. The idea of hanging plants and flowers on the terrace is fantastic but it is true that we always resort to the same thing: a few pots hanging from the railing and some mud pots on the floor. I propose to play with heights. You can make yourself with tall pots and combine them with others of medium height, this way you will give more dynamism to your terrace. You can also use hanging pots, or even vases with dried or articulated flowers. The result is great! 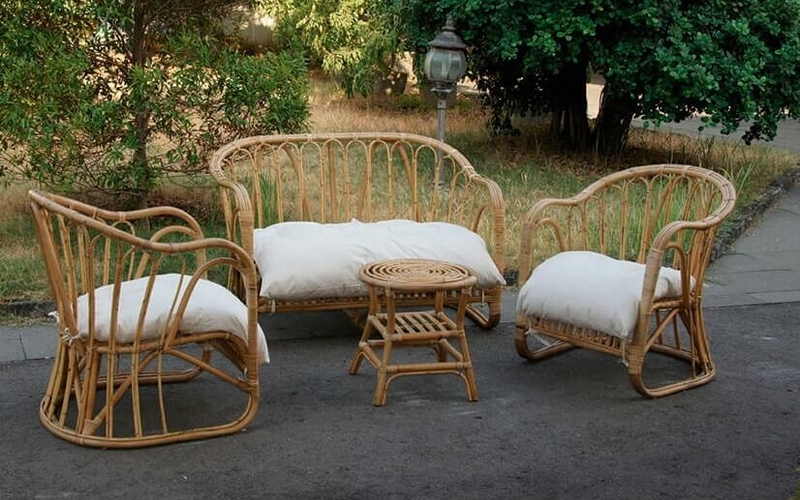 Wicker furniture is a great idea if you have ample space . 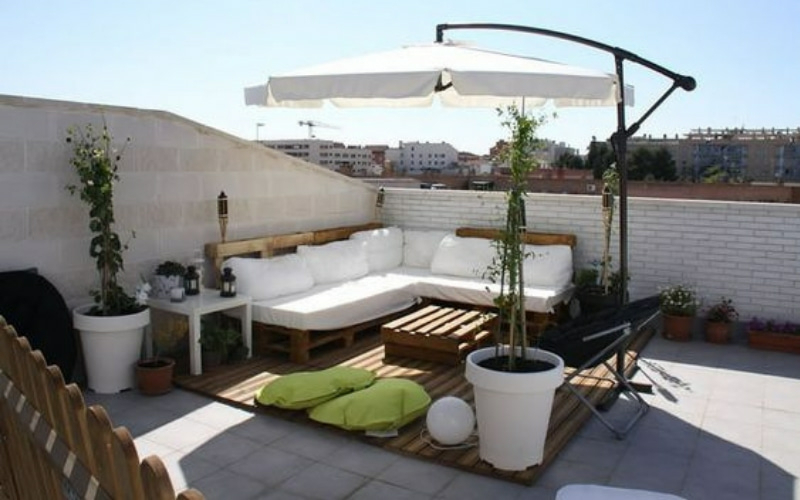 These furniture give the terrace a rustic touch that invites you to relax. It is very typical to see this type of furniture in holiday places, but of course they are also valid for a house in the center. What do you think of this type of furniture? 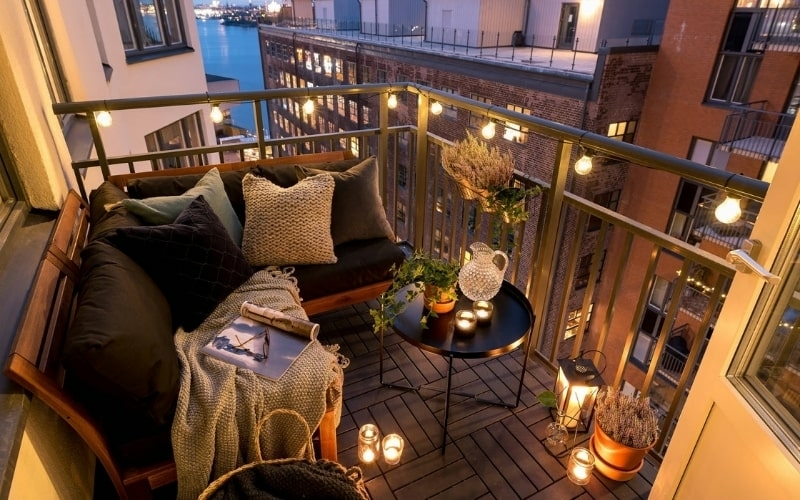 I hope you have liked these ideas for the terrace house and above all that you take advantage of them to decorate it little by little for the good weather, which is just around the corner.